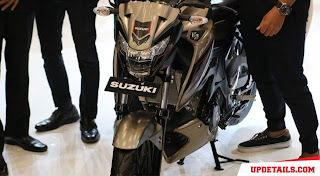 Not only coming from the four-wheel segment or commercial segment, the two-wheel segment is also quite crowded in the 2018 Gaikindo Indonesia International Auto Show (GIIAS) event thanks to the launch of a new product from Suzuki, the Suzuki GSX150 Bandit. Gossip about the presence of this motorbike itself has been exploding since a few months ago, and now the original figure of this motorbike can be seen immediately, check it. Seeing the original figure of the Suzuki GSX150 Bandit, the first thing that came to mind was "You know, this is Suzuki Satria F150 FI". 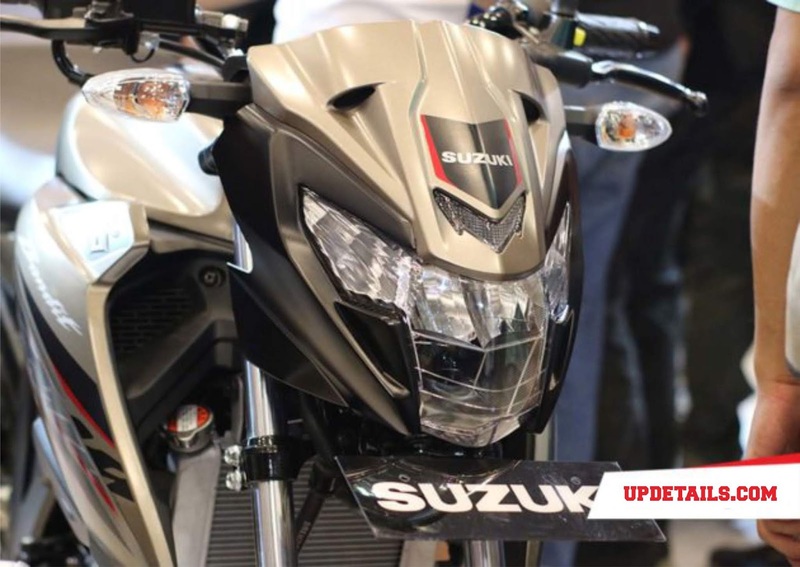 Yep, that's the mind that first appeared because indeed the headlights of the Suzuki GSX150 Bandit are very similar to that of Suzuki Satria F150 FI. 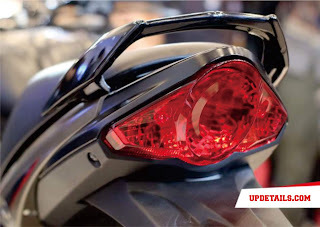 Even so if you see the taillights of the Suzuki GSX150 Bandit, it is very similar to the Suzuki Satria F150 FI, it's just that there is no turn signal inside the lamp shell because the turn signal is made separately in the rear fenders. The same thing also happened on the front side where the shell part of the lamp got additional turn signal on the right and left side of the top. This Suzuki GSX150 Bandit lamp shell looks wider and contains more than Suzuki Satria's. For the body itself, it is actually still very similar to the body of the Suzuki GSX-S150 which has been sliding first. 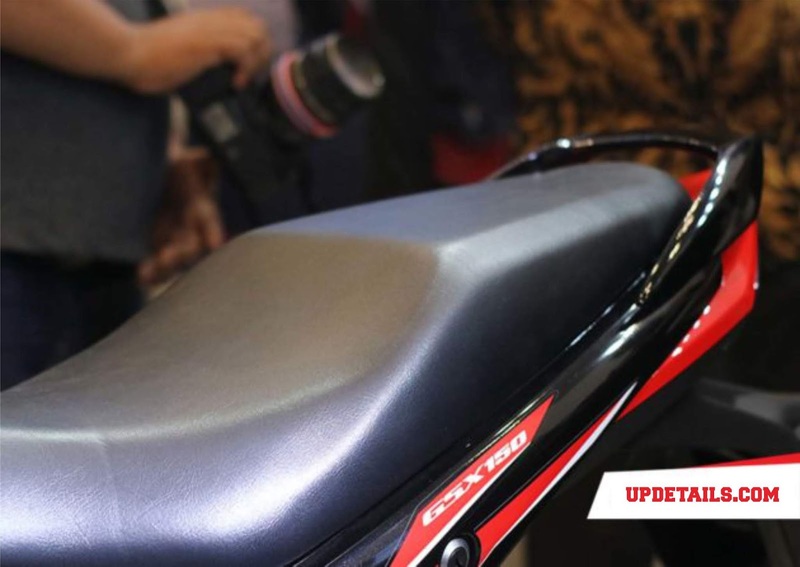 It's just that there is a difference on the side of the boncenger seat of the Suzuki GSX150 Bandit which uses a tandem model, quite in contrast to the seat of the split seat of the Suzuki GSX-S150. For the color scheme itself, Suzuki provides four choices, namely Metallic Matte Titanium Silver color, Brilliant White / Aura Yellow, Stronger Red / Titanium Black, Titanium Black. For dimensions, the Suzuki GSX150 Bandit is slightly shorter and slightly lower if compared to the Suzuki GSX-S150. But for the seat height, both the Suzuki GSX150 Bandit and Suzuki GSX-S150 are the same. Interestingly, the Suzuki GSX150 Bandit is actually 5 kg heavier if compared to the Suzuki GSX-S150. For the engine, Suzuki also still entrusts the DOHC engine unit with a maximum power of 19.2 PS at 10,500 rpm and torque of 14 Nm at 9,000 rpm. The price of the Suzuki GSX150 Bandit itself is still not announced, it's just that we suspect that the price will be set under the Suzuki GSX-S150 which now has a tag of 24.7. What does that mean? It could be that the price of the Suzuki GSX150 Bandit is in the range of 22 to 23 million Rupiah. In the price range, the Suzuki GSX150 Bandit will directly meet with heavy rivals such as the Honda CB150 Verza and Yamaha Byson FI. Well, will the Suzuki GSX150 Bandit make a good contribution to the sales of Suzuki Indomobil Sales (SIS) in Indonesia? Let's wait. What is clear, the presence of the Suzuki GSX150 Bandit is a clear proof of commitment from Suzuki to want to hear and provide solutions for the Suzuki GSX-S150 figure that does not attract consumers. 0 Response to "Suzuki GSX150 Bandit Officially Released, Use Satria F150's Special Face"